Let’s get right to it. A pheasant isn’t an easy thing to deal with. It can be gamey. I’ve even had some be mealy. They are super lean and tend to be dry. Most recipes online call for slathering pheasant meat with Cream of Mushroom Soup just to make it tolerable. Even the judges on Chopped say it’s tough to cook pheasant well. And those people know what they’re talking about. 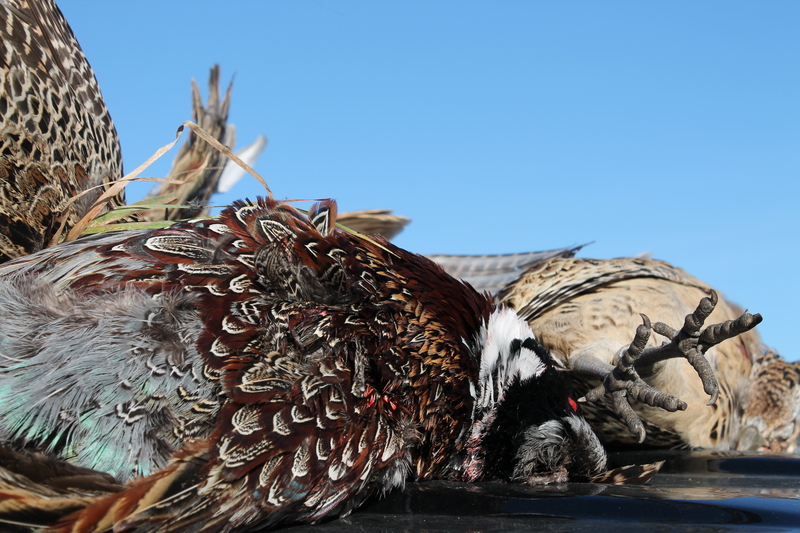 If you have a pheasant hunter in the family, you have one of two things. 1) A freezer full of frozen pheasant that you’re trying to figure out how to eat. 2) A guilty feeling because you let the birds go to waste. I’ve had mixed results with pheasant. I made an amazing pheasant-bean stew in the slow cooker one day that I’ve never been able to replicate. Jay is so distraught about this that he now requires me to keep a notebook handy in the kitchen so I write recipes down as I create them. He started feeling a lot better about the whole lost-the-over-the-top-delicious-pheasant-recipe situation once we came up with a one word solution to our freezer pheasant overpopulation: jerky. And fortunately, as much as I hate waste, I love kitchen gadgets. 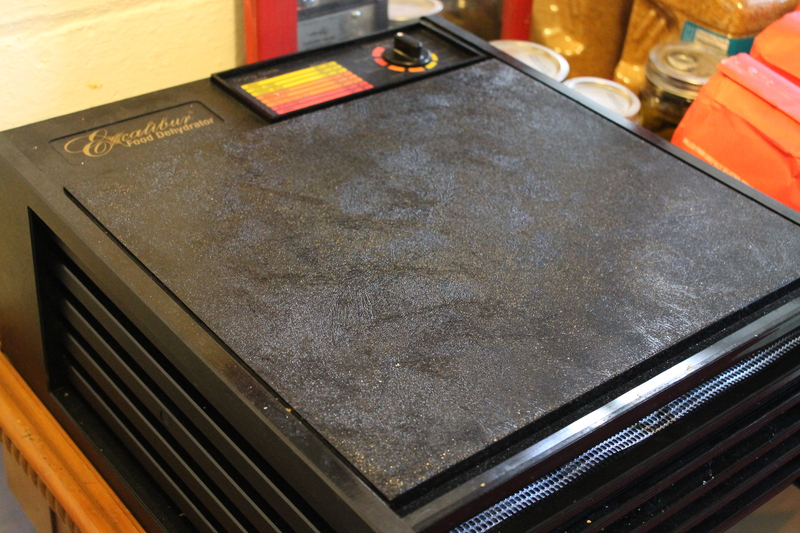 Like this dehydrator we received as a wedding gift (thanks Laura Lemon!). These urban homestead ideas kind of present themselves as little riddles. We have 25 pheasants. Jay stops for jerky on his way out to the game farm. 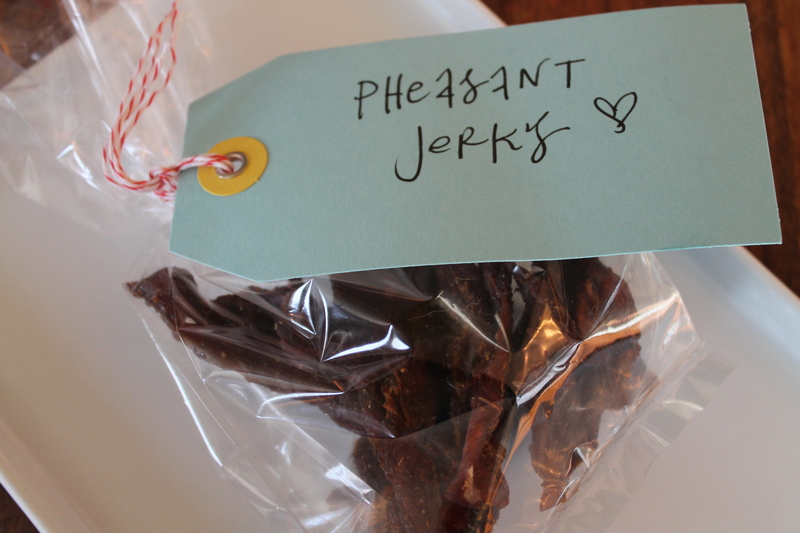 Turn the pheasant into jerky. Maybe that’s more of a math story problem? 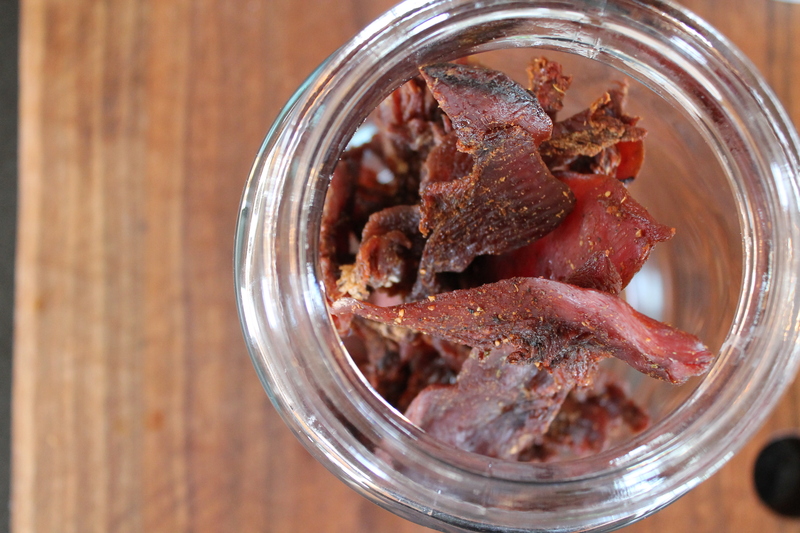 After doing some basic jerky recipe research and testing about a dozen batches on Jay’s hunting buddies and my co-workers, I think we’re really onto something here. And the process is really simple. Plus, it makes the whole house have a sort of woodsy/smoky aroma that makes me feel like I’m in a cabin in the middle of no where. When I’m really in a city bungalow and can practically reach out and touch the homes of my neighbors. 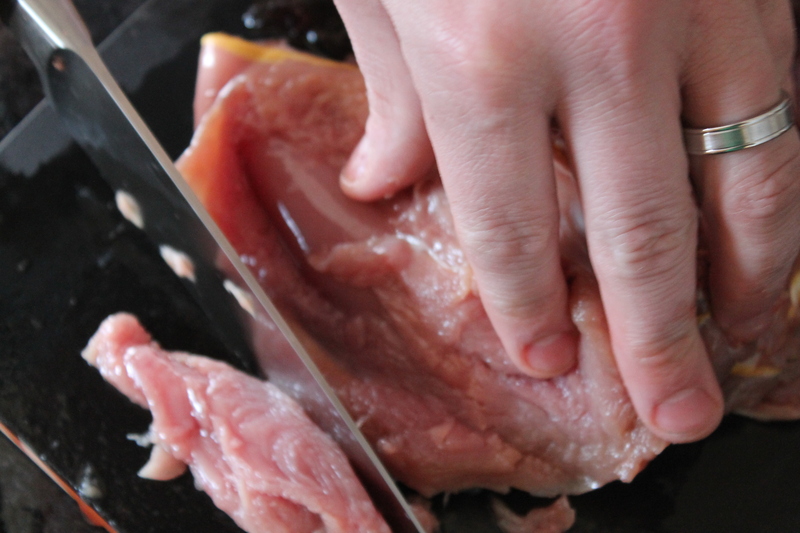 Slice the pheasant into thin strips, as evenly as possible so they dry out at the same rate. Since Jay shoots them, I put him on the task of slicing them and I get to work on the marinade. We like it salty, smoky, savory and a little spicy. Let the pheasant sit in the marinade in the fridge for 2-4 hours. 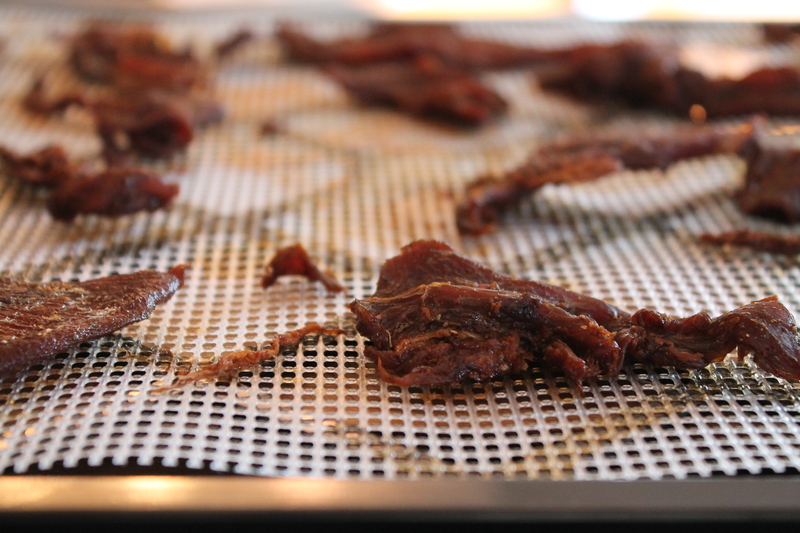 Then lay the pieces on the dehydrator trays, set it to “jerky” and let ‘er go for about 5-6 hours (I’ve read you can also do this in a super low oven, but I haven’t tried that since we have the dehydrator). 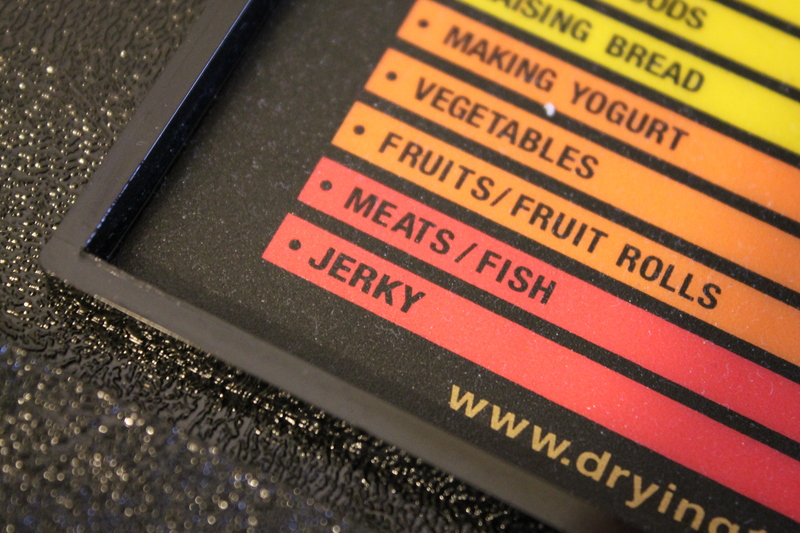 This jerky only lasts for a couple of weeks since it’s not loaded with crazy preservatives, but I’m sure it’ll be down the hatch or out the door sooner than that. I’ve been packing up bags for Jay to take to his friends and colleagues nonstop. See? No more gas station jerky for my hunter and pheasant population control in my freezer. Riddle solved. 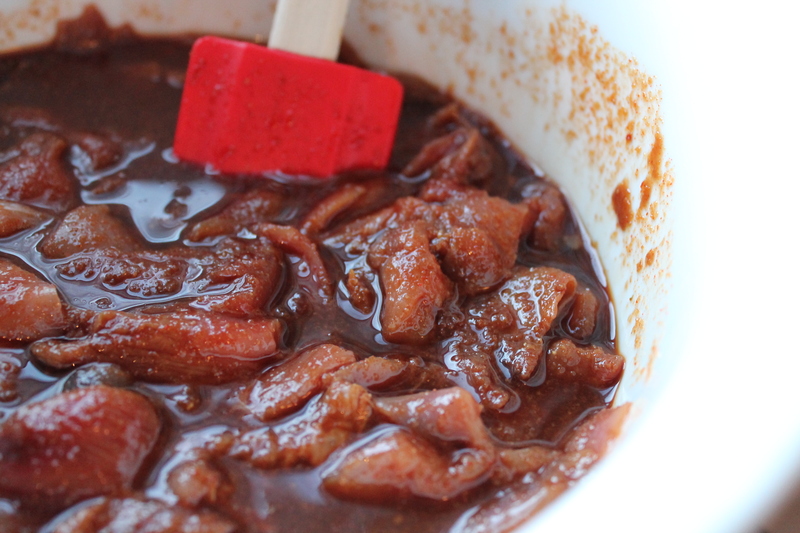 This marinade recipe makes just the right amount for 2 1/2 – 3 pounds of pheasant meat. Whisk all ingredients except for pheasant together in a large bowl. Add the pheasant, pressing the pieces down to make sure they are all covered by the marinade. Cover with plastic wrap and refrigerate for 2-4 hours. Place pheasant pieces on dehydrator trays, shaking off excess marinade. 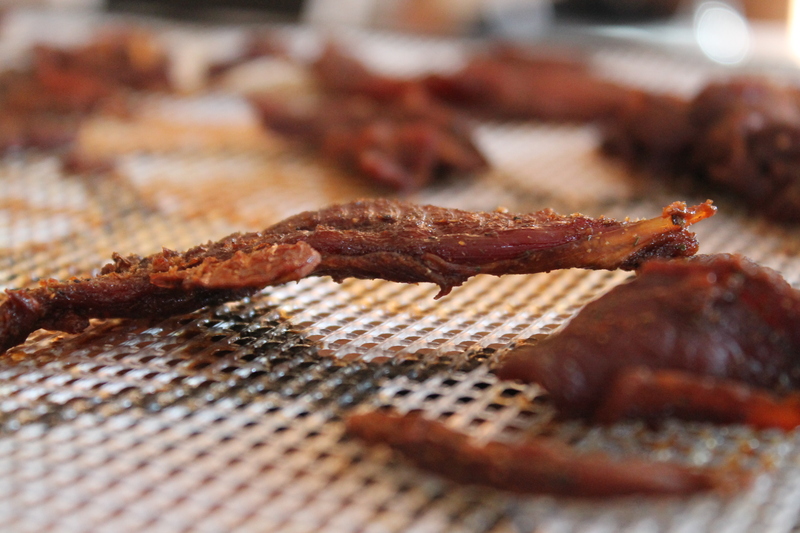 Set dehydrator to “jerky” and process for 5-6 hours, depending on the thickness of your pheasant strips. Thicker pieces may need longer drying time. Store in jars or bags for up to two weeks. That sounds delicious! I’ve always roasted our pheasant with a turkey. It stays moist using the turkeys day yet it keeps it’s pheasant-y flavor. Awesome idea! What’s your technique? Wow…you are Jay are birds of a feather! What a team you make! Gimme some of that! YUM. Also, I’ve heard good things about soaking pheasant/game in buttermilk overnight to combat some of the gamey-ness. Thanks Elizabeth for this post. My husband is a huge pheasant hunter and I never know what to do with the meat. We end up giving a lot of it away. I can’t wait to try this idea out. Thanks for figuring this out. Let me know how it goes, Jeni! 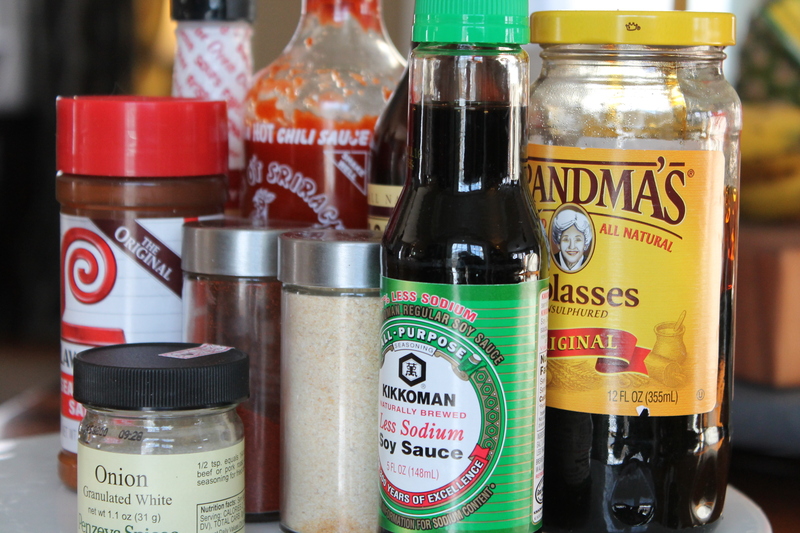 And if you experiment with other flavorings in the marinade, I’d love to hear about it! Thanks for reading! Does Jay Goose and Duck hunt too? I have an over population of those birds in my freezer and would love some great tips/recipes if you have any? I will totally try this! Thanks Dawn!! 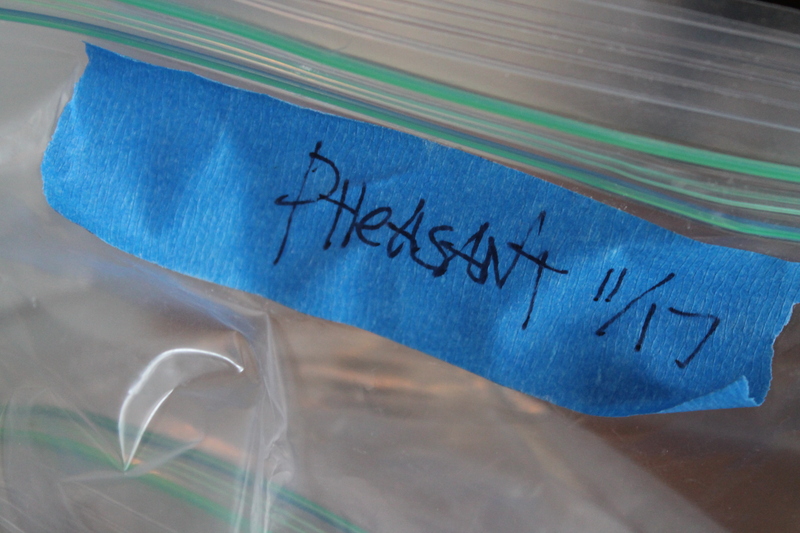 I have some pheasants in my freezer too and the only recipe I’ve used that I like is this one http://www.food.com/recipe/brined-roast-pheasant-outdoor-wisconsin-style-107369. 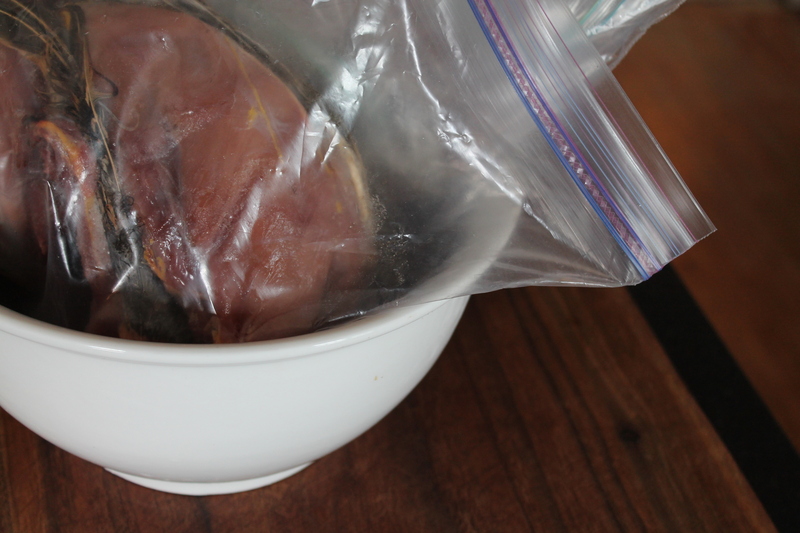 Brining the pheasant for at least 24 hours gives it a great flavor. We always do this on Halloween for some reason. I think I’d like pheasant better if I didn’t have to cut the head off. I really think it’s the least “gamey” of game meat. 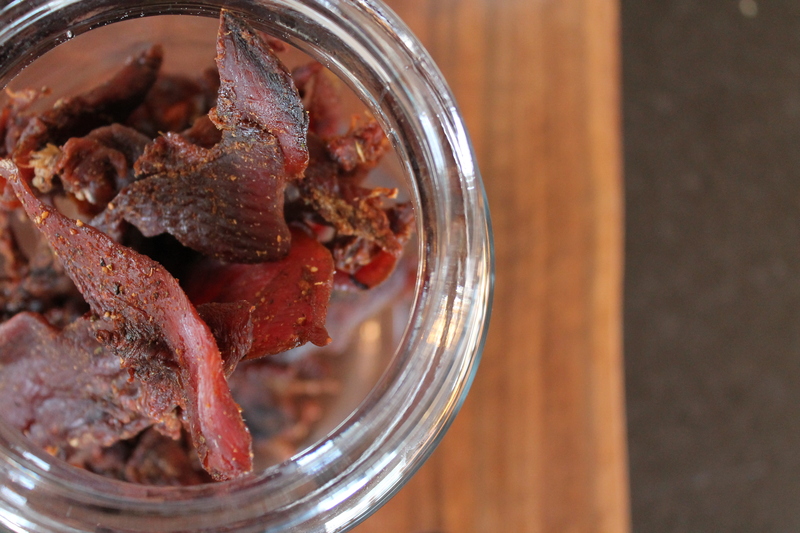 Do you have a deer jerky recipe as Amazing as your pheasant recipe?